Books. What a gift from heaven! As much as I love the internet, I will never stop owning and reading books. Something magical happens when you flip through thin slivers of wood that have been ink-drenched with the marks of the human soul. It is the old school way of upgraded your software. Below are books I feel every human being should read once before they die. As you will see, I like to jump around from millennia to millennia. Nothing shows the fellowship we all share as humans like finding a familiar soul that lived thousands of years ago but expresses themselves with the same wit and vigor of the people we share our modern lives with. Enjoy! St. Augustine (November 13, 354 – 28 August 28, 430 A.D.) was a roman citizen serving the Roman region of Hippo (in modern day Algeria) as a bishop for the Holy Roman Church. Writing during the beginning of the fall of the Roman Empire Augustine addresses arguments against the Christian faith. One of the most influential and oft quoted scholars of Christian history, one would be remiss not to ingest the mind of this great saint first hand. Many of the church’s positions on topics such as politics and war were shaped by Augustine. His rhetorical skill and sharp wit are refreshing to see in an age of weak scholarship, bad logic and limp-wristed defense of the Way, the Truth and the Life. Pascal (June 19, 1623 – August 19, 1662 A.D.) was a brilliant mathematician and physicist. Although he left an indelible mark on the word of science (one of the measurements for atmospheric pressure is the Pascal) he is most well known today for his arguments in favor of the Christian faith (e.g. : Pascal`s Wager). Dying less than 10 years after his fiery conversion, Pascal never finished his opus magnus: a robust, systematic defense of the Faith. Yet his rough draft has been published and follows an obvious and cogent thread. Easy to follow, a delight to read. Pascal`s logical machine of a mind walks through reason after reason for choosing Christ in a world of lust and glowing goodies. It was Luther’s study of the apostle Paul’s letters to the churches at both Rome and Galatia that triggered the protestant revolution. 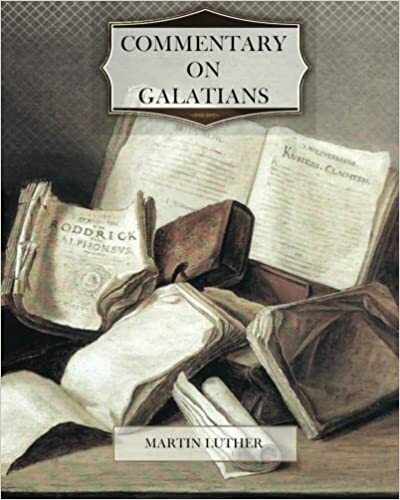 Personally I find his study and commentary to the Galatians the most accessible and enlightening. I am a big believer in the classic works of the church’s best. And this is a ”must read” for the modern believer.